Richard Walker, a professor emeritus of geography at UC Berkeley, has a new piece in the East Bay Express about the origins and solutions to the Bay Area housing crisis. I admittedly don't know anything about Professor Walker, other than this one article. He presents some reasonable ideas and even some good policy solutions (rent control, eviction controls, low-income public assistance, etc.) As far as I can tell, he's on left, so I bet we'd agree on many issues. That said, Professor Walker's analysis of the housing crisis is not good. So I don't unfairly characterize his views, I'll quote them directly and respond. "But while it's true that we need to expand the region's housing supply, building more housing cannot solve the problem as long as demand is out of control, as it is today. There is simply no way housing could have been built quickly enough to avoid the price spike of the current boom." 1) The only way for demand to be "out of control" is for demand to consistently outpace supply. So it's logically true that "building more housing cannot solve the problem as long as demand is out of control" because within that sentence is the assertion that demand will always be greater than supply. In other words, this paragraph is true in the same way "you cannot fix The Problem as long as The Problem still exists." True but meaningless. 2) Given that the demand for housing changes more rapidly than the supply can change (because it takes awhile to build homes, as Prof. Walker notes), Prof. Walker is correct to say that even a boom in housing construction may not be enough for supply to keep up with demand. While Prof. Walker is once again technically correct here, he's misreading the problem. The housing crisis problem is not a binary problem, where it either exists or doesn't. The problem with out-of-balance supply-and-demand is a continuous pressure on the housing market. The slow pace of building makes it a harder and longer process to relieve that pressure, but every little bit helps. Every single additional unit added to the housing market turns the valve and releases some pressure, leading to lower prices than would be the case if that unit had never been built. "Three basic forces are driving the Bay Area's housing prices upward: growth, affluence, and inequality. Three other things make matters worse: finance, business cycles, and geography." Other basic forces that are driving the Bay Area's housing prices upwards: People, money, consciousness, the Sun, the lack of worldwide plagues, and the Big Bang. Yes, "growth" and "affluence," which is to say people earning more money, which is to say "demand," is a part of the problem. Hence supply-and-demand. And yes, finance contributes to the problem, in the sense "finance" means the flow of money throughout our economy and the Bay Area housing market is part of our economy. Geography? You bet, since we're talking about land here. The ocean is certainly inconvenient for building homes, but luckily we've invented ways to build up, not just out. We've also invented high-speed rail and public transportation and are inventing driverless cars and hyperloops, which will make it easier to live farther away from cities but remain connected. But both building up and building out require a focus on BUILDING. "All of these operate on the demand side of the equation, and demand is the key to the runaway housing market." There is always "demand" in an economy, unless everyone is dead. The relevance of demand is how it relates to supply. Even if the total amount of demand for housing in the Bay Area is accelerating, it would not be a problem if the supply of housing was also accelerating. And the less supply can keep pace with demand, the more the problems of demand will build up in the form of higher prices. So once again, the solution to the problem of too much demand is to increase supply. Reminder: demand in an economy simply means the amount of money in the economy that wants to be spent on a good or service. Generally, one of the primary goals of a society is to increase how much money people have, so they have more money to demand things and pay other people who will have more money to demand other things. And so on. This is how societies--if they ALSO focus on the equally critical goals of equity, justice, and fairness--lift people out of poverty, increase happiness, increase the tax base for new public goods and services, and increase the amount of money that can be used for innovation and progress. When the demand in an economy increases, like you're seeing in the Bay Area housing market, the healthy response from the market is to increase supply. Investors see and anticipate new demand for new housing and respond by building new housing. This new demand, which just means people or families wanting to buy or rent homes, will be able to find a willing supplier to meet their needs. However, if supply cannot keep up with demand--perhaps because local zoning codes are designed to guarantee supply continuously falls further behind demand--then that increase in demand will not lead to those good things I mentioned, but will instead be captured by the owners of the existing supply of housing--landlords and property owners--in the form of higher prices. This is known as "rent seeking," and is closer to theft than honest profit-making. The resemblance to theft is because the increase returns on investment for these property owners is due to a failing of the market to increase competition to their business. Because no one can build new homes to compete with the homes already on the market, the existing landlords are PROTECTED FROM FAIR COMPETITION and can therefore jack up the price without improving what they are selling. But I skipped over one important "basic force" Prof. Walker mentioned: inequality. Prof. Walker is correct for focusing on this, but he's drawing the wrong conclusions about how inequality and housing effect one another, so he's really missing the whole story. The short version is: Inequality is making the housing crisis worse and the housing crisis is making inequality worse. That is, the causal arrow goes in both directions. Let's deal with one causal arrow at a time. 1) Inequality is making the housing crisis worse. Prof. Walker correctly notes that rising inequality in the region is due in part to the dynamic tech industry leading to fantastic increases in incomes and wealth, mostly for the very rich, but even down to the "somewhat rich." That increase in income and wealth is putting additional pressure on the housing market, which leads to higher prices that only the rich can afford. What Prof. Walker misses is that economic inequality becomes a much more devastating force in a tight, undersupplied housing market. Why? Because, by definition, in an undersupplied housing market, there are fewer houses available, but the same number of buyers who are demanding houses (not exactly, as new housing brings new demand too). If there are more buyers for every available unit, and if we live in a market-based economy, then there is more demand-side competition for every unit. Who do you think is going to win in this competition, the rich or the poor? If we had more supply of housing, then rich buyers wouldn't be competing with the non-rich over the same housing unit. The rich would spend their money at the new skyscraper and everyone else would spend their money at older, less expensive places. Instead, because we don't build enough, the rich are forced to seek what's available, which is older units that could have gone to someone else, someone with less money. In an unequal economy like in the Bay Area, the failure to build enough new housing forces the poor to compete in a losing battle with the middle class, who themselves increasingly have to compete in a losing battle with the upper class. In short, if you care to alleviate economic inequality, you should prioritize building new housing as fast as possible. Even shorter: the poorer you are, the more you suffer from an undersupplied housing market. A) Fewer jobs. In order to build new homes, you need to pay people wages to build them. Thankfully, construction workers in San Francisco and the Bay Area are much more likely to be protected and empowered by a union contract, and are further protected by prevailing wage laws. If we prioritized building new housing, we'd get more people into these good jobs, as all that "out of control demand" would be funneled to DEMANDING NEW WORKERS TO BUILD USEFUL STUFF. People on the left frequently concern themselves with lost manufacturing jobs to overseas labor markets. But building new homes is a blue collar job that is in desperate need right now and can never be outsourced. And yet many on the left poo-poo the benefits of urban and suburban development. Sad! B) Lower tax revenue for public services. 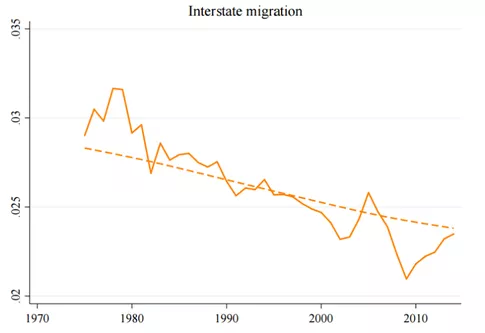 Not only would a supply boom lead to high wages, which would be taxed, it would lead to a boom in local spending, which would also be taxed, and it would allow more people to move to the region, who themselves would be earning wages and spending their income, all of which would be taxed. That means more tax revenue to hire more people to work in good, union, public-service jobs. C) Another related way insufficient housing increases inequality is that it acts as a barrier for people from other, poorer parts of the county and world, to immigrate to the region and participate in the local booming economy. This form of protectionism is as harmful, shortsighted, counterproductive, and immoral as blocking immigrants from other countries seeking a better way of life in wealthier countries. D) I mentioned earlier the lack of housing supply leads to rent-seeking from landlords and property owners. This worsens inequality in a hugely consequential way. A restrained, under-built housing market means existing property owners can charger higher rents with no additional effort, costs, or risk. Or they can simply watch their single-family home increase in value, which also means a corresponding increase in wealth. What this means is that a greater and greater percentage of all the money in the Bay Area is going towards returns on property investments (capital). If capitalists are capturing more and more of the economy's total income, then that means workers are earning less and less. This is precisely the opposite of what we want to see. Unlike workers, who are most of the adult population, capitalists are a much rarer and more privileged breed--even if you include homeowners (which you should). And within the population of capitalists, including property-owning capitalists, the distribution of capital is extremely unequal, with most of the total capital owned by a select few who earn fantastic returns on the capital, which is then mostly passed down through inheritance or hidden in offshore accounts. The Bay Area's neglect of building new housing is directly making this problem worse and is therefore one of the main contributors to rising wealth inequality in our country. Thomas Piketty brilliantly identified this problem in his great book Capital in the 21st Century. Matthew Rognlie expanded on Piketty's research by discovering that the main reason capitalists were capturing a greater share of our nation's income is become of property ownership. In short, by not building as much housing as possible, you only help existing property owners--who are overwhelming wealthy--who gain by charging higher prices, capturing greater rents mostly from the working class, and therefore increasing economic inequality. "All of these [factors, e.g. 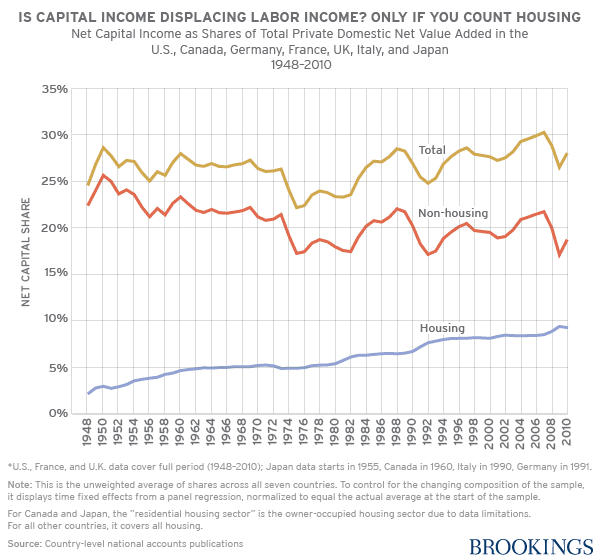 growth, affluence, inequality, finance, business cycles, and geography] operate on the demand side of the equation, and demand is the key to the runaway housing market." Simply false. Geography quite obviously doesn't "operate on the demand side of the equation" (whatever that means) and the others are determined by both sides of the equation. "First, housing is a big-ticket item that normally requires a mortgage, and an excess of credit will exaggerate people's ability to purchase houses. California had the most overheated mortgage markets during the housing bubble of the 2000s, and our financial institutions have not been substantially reformed. Finance is subject to dramatic swings, and the pressure becomes unbearable at the peak of the cycle. Furthermore, footloose capital from around the world has once again been flooding into the Bay Area in search of high returns, whether as venture investments in hot start-ups, stock holdings in tech giants, or purchases of mortgage bonds. All the wealth in tech is not generated locally, nor is all housing demand." Prof. Walker's latest artful dodge is an impressive-sounding discussion of global capitalism and finance. He has some reasonable things to say, except they are entirely irrelevant to the discussion, because the rules of global capitalism are not problems to be fixed by local governments. Land-use regulations, though, are precisely the type of problem that can, should, and need to be fixed by local governments. Like now. "Second, the housing market does not behave like eBay because supply is slow to adjust to demand. It takes a long time to build new units and most people stay in the same residence for years." Once again, if supply is slow to adjust to demand, then it becomes more important--not less--to increase supply as fast as possible. "Hence, only a small percentage of total housing stock comes on the market in any year — normally less than 5 percent — and markets suffer from intense bottlenecks. As expansive demand chases limited supply over the course of a business cycle, prices accelerate ahead of new building." So build more housing, so more total housing stock comes on the market in any year. Help the markets from suffering from these bottlenecks. THIS IS THE ENTIRE POINT OF GOVERNMENT--TO PASS GOOD LAWS TO HELP THE ECONOMY AND SOCIETY FUNCTION IN A HEALTHY, EQUITABLE, AND FAIR WAY. Our current zoning laws that keep housing supply makes this problem worse and makes its citizens' lives worse. "Speculators and landlords intensify the pressure as they buy properties, evict tenants, and displace people in anticipation of even higher rents." Why do they anticipate even higher rents? Because they know the laws on the books, along with powerful political opposition, will prevent new housing (i.e. competition to their business) from entering the market. So to stop the evil developers and landlords, you need to force them to compete with new developers and landlords, which is done by building more. Then they wouldn't be able to anticipate even higher rents. Then they wouldn't try to evict tenants and displace people. This actually works. "The good news is that booms go bust, sooner or later. Construction will overshoot the market, as it always does, and then prices will fall by 10 to 20 percent, as usual." Surely Prof. Walker doesn't seriously think the proper solution to the housing crisis is to just wait for the economy to crash, wiping away trillions of dollars of wealth and millions of jobs, all to lower demand. I, personally, would rather try to avoid a bust, and instead pay people who need good jobs to build new housing, so supply can increase, demand can be matched, and prices can stabilize in a helpful rather than harmful way. "If the nouveaux riches of the tech world want to live in San Francisco (even if they commute to Silicon Valley), they have the means to outbid working stiffs, families, artists, and the poor; the result, as we've seen, is a city that has become richer and whiter with remarkable speed." If the city and the region focused on building new housing, then the nouveaux riches of the tech world who want to live in San Francisco wouldn't be outbidding working stiffs, families, artists, and the poor, because there would be enough housing for everyone. "The greatest distortion to housing markets is the demand by the wealthy for exclusive, leafy, space-eating suburbs from Palo Alto to Orinda. These favored enclaves reduce overall housing supply by using low-density zoning to block the high-rises and apartments that provide moderate priced homes (not to mention low-income public housing)." Yes, this is exactly the problem. But because it exists in the suburbs from Palo Alto to Orinda doesn't exclude it from existing everywhere else in there region, which is the case. The exact same logic for fixing the problem in Palo Alto applies to everywhere else where the problem exists, including SF and the East Bay. "So is there no recourse? Since the biggest sources of the housing crisis lie in the general conditions of contemporary capitalism — the tech boom, gross inequality, frothy finance, boom and bust cycles, and the power of the elites — local reforms can only do so much. Without a major political upheaval for financial control, higher taxes, equality, and more public spending, we are in for perennial housing crises. The housing market can never heal itself under existing conditions." This defeatist attitude is in no way helpful, and has the effect of concealing how much of this problem is the direct result of local policies and politics, not the vague boogyman of contemporary capitalism, which again are not in the jurisdiction of local governance, unlike land-use regulation. "But some things can be done locally. Rent control with reasonable annual increases works quite well to dampen overheated markets. Eviction controls are critical, along with other restrictions on speculation. Demands for set-asides for low-income units are another proven strategy, along with development fees. Land trusts have worked well for open space protection in the Bay Area, and could work for housing, but will require major funding. And a real commitment of earmarking money for low-income housing by the federal government — on a scale to match the money going to highways — is a must." Yes to all this. Needs to be done yesterday. But importantly, all these things work well and even act as complements to looser zoning regulations for dense development. There's no need to pit these ideas as competitors to major land-use reform.